Welcome to the Gemini Careers Brochure Video Page! Don't have a copy of the career brochure? Ask for one here! Enjoy these videos of our staff sharing their passion for their work. Note: you may need to reload your brower if videos do not appear. Are you ready to explore a future in astronomy? Ever wonder what kind of jobs you could do at an astronomical observatory? Learn about the types of careers, and the people, that allow observatories like Gemini to explore to the very edge of the universe. Then, watch the videos on this page to learn even more about working at an observatory. 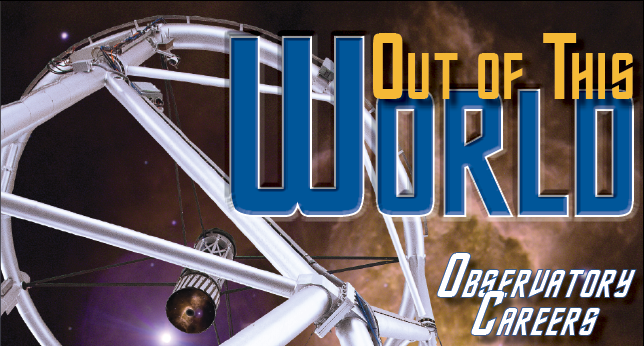 Explore your future in an “out-of-this-world” job! *Note that since the time of the interviews, some employee job titles may have changed. Current employee position titles are included in parentheses as necessary.